Hello, my name is Sami. I am 33, I am an army wife , A DRILL SERGEANTS WIFE. I have survived 3 deployments and endless field training. Rick and I have been married for 13 years in August. I am a stay at home Mom of 3. Richard is 13, Christianna is 11 and Diana is 6. I am an avid photographer. I have many hobbies as well as photography. I like to read, write, make scrap Kits, posers, write tutorials, I have been creating tags since 2003. I am currently attending school for Digital Photography and Media Arts. I love creating.. Please come back and visit often..
designing under Sweet Indulgence I think it is time for a change. AS FREE TO USE ITEMS! That will go for my posers as Well..
PCSING SOON ENOUGH I do not have the time to concentrate on posers..
AS WELL.... I HOPE YOU ALL UNDERSTAND. 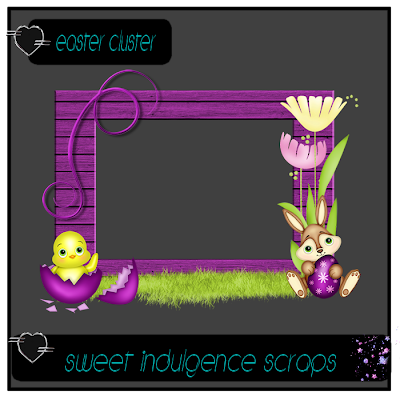 A Cluster Easter Blessings made using a kit by Diva Designs. May Flowers from Anna's Addictions.